Thermogravimetric analysis (TGA) of pharmaceutical products is used to plot sample mass changes due to incremental increases in temperature. It is a critical analytical method for decomposition and desorption process monitoring, such as Loss on Drying (LOD) where products are dehydrated to determine their moisture content. LOD is chiefly used to measure the loss of volatile species under distinct conditions that may simulate the storage or transit parameters of pharmaceutical products. 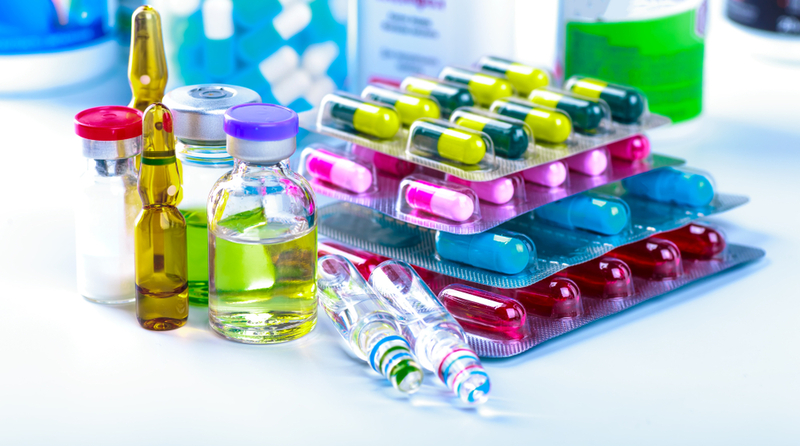 Thermal analysis of pharmaceuticals provides valuable data regarding the physical properties of raw material active ingredients (AIs) and inert carrying media. It also supports the characterization of dosage form products with regards to important physical phenomena that may affect efficacy and mitigate the therapeutic effects of the drug. This can represent a multiplicity of problems, including invalidation of regulatory certifications. Real-time process monitoring using TGAs coupled with mass spectrometry equipment can provide quantitative assessments of a pharmaceutical’s thermal stability over time. This supports robust characterizations of raw materials with regards to their adsorption and desorption characteristics. Typical TGAs heat a sample and measure the changes in sample weight as a function of temperature and time, which may be indicative of thermal instability or desorption of trace elements. Mass spectrometers (MS) are coupled to TGAs to provide evolved gas analysis and eliminate the qualitative nature of thermal stability analysis. Linking a TGA to a high vacuum mass spectrometer via a Quartz Inert Capillary (QIC) enables high-performance handling of various gas species, including low molecular weight components. This provides rapid transfer of desorbed gas species from a TGA chamber to the mass spectrometer. The HPR-20 EGA mass spectrometer from Hiden Analytical offers several advantages for real-time thermal stability analysis of pharmaceuticals over conventional process monitoring equipment. It boasts outstanding sensitivity as low as the parts-per-billion range (ppb), with a heated capillary and TGA flow-matching capacities to effectively eliminate measurement inaccuracies arising from memory or condensation effects. Thermal stability remains a critical indicator of performance for pharmaceuticals in the dosage form. It is important to conduct temperature-dependant process monitoring to characterize tablets, pills, and formulations with regards to their long-term stability and tendency to undergo phase transitions. Multiple TGA-MS systems can be used to perform real-time process monitoring of pharmaceuticals to study complex thermodynamic reactions, such as polymerizations and amorphous transitions. Hiden Analytical is one of the UK’s leading manufacturers of mass spectrometry equipment for the most demanding industrial and commercial spaces. We offer an established range of quadrupole mass spectrometers optimized for TGA-MS of pharmaceuticals. If you would like any more information about pharmaceutical process monitoring with Hiden Analytical products, please do not hesitate to contact us.